D.B. 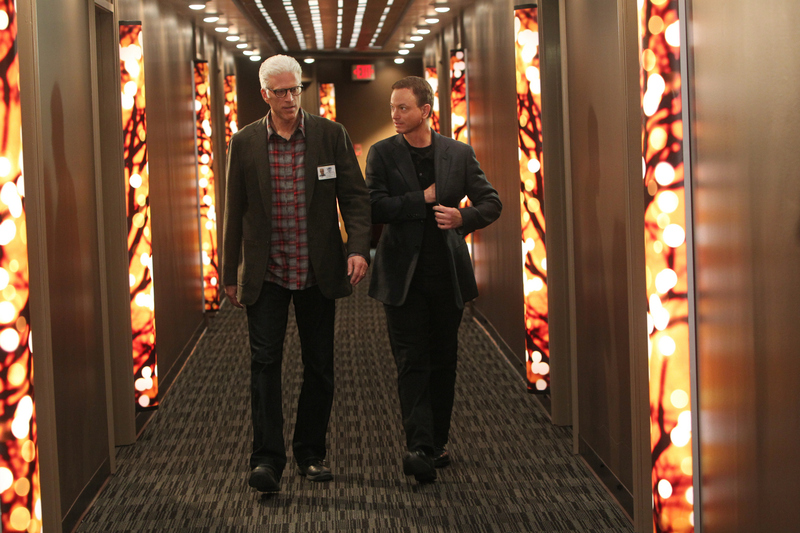 Russell (Ted Danson, left) and Mac Taylor (Gary Sinise, right) walk through the hotel in this scene in the first of a two-part episode. Photo: Monty Brinton/CBS ©2012 CBS Broadcasting, Inc. All Rights Reserved.